For whatever it’s worth, I start off this week’s column with this announcement. Fresh from her victory in the Malaysian General Elections on Wednesday, Permatang Pauh MP Nurul Izzah Anwar has reaffirmed her commitment to abolish the Printing Presses and Publications Act 1984 and to the setting up of a media council in ensuring a free and fair media in Malaysia. 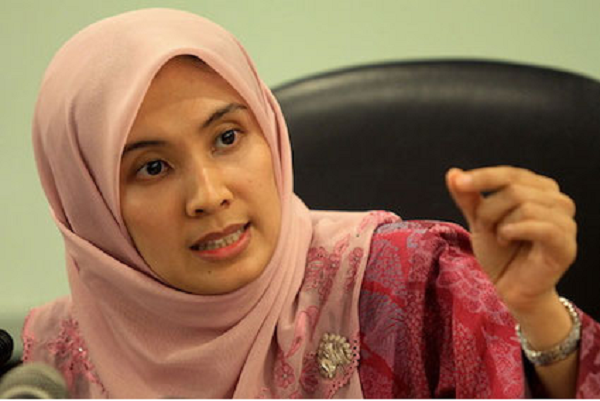 Nurul Izzah, a vice-president of Parti Keadilan Rakyat, one of the partners of the Pakatan Harapan coalition, which toppled the ruling Barisan Nasional, said she had prepared a bill for this purpose way back in 2010 and was seeking to retable a motion on the matter in the Malaysian Parliament soon. “We are talking about a new era where you celebrate truth and you allow fair criticism to contribute to the development of the country,” she told reporters on Friday. PKR secretary-general Datuk Saifuddin Nasution Ismail echoed her view, saying the media should be seen as an important element, particularly as a check and balance. So, right at the top of MP Nurul’s father, PM-in-waiting Anwar Ibrahim’s reformasi agenda would be this liberation of media to allow for freer and more balanced debate. If Dr Mahathir Mohamad is a truly changed person – as I think he is, as he also suffered attempts to silence him in the campaign to oust Najib Razak – he would go along with the move. Then I would say Malaysia will become a First World country faster than its Asean neighbours, Singapore included, and not just a slogan or book title purveying a slanted image. What we have seen this week is a major button reset. Malaysians have now given themselves a serious chance to do things better and work out a more productive way to move forward. It is short of a revolution because the important “new players” have been in government and politics for a long time and are not newbies. They are not fresh faces, without experience, needing to be tested like apprentices, like another country to its south. Even a young politician like Nurul Izzah is battle-tested and has earned her spurs in adversity and genuine unscripted circumstances, having been thrown into politics when her father was twice thrown into jail. No mollycoddling. Here are some of the tasks ahead for Dr Mahathir, Anwar Ibrahim and Lim Guan Eng, secretary-general of the Democratic Action Party. The new government will have to deal with its financial scandals especially 1MDB. 1Malaysia Development Bhd, set up by Najib Razak in 2009, was meant to turn KL into a financial hub and boost the economy through strategic investments. But it started to attract negative attention in early 2015 after it missed payments for some of the US$11b it owed to banks and bondholders. Then the Wall Street Journal reported it had seen a paper trail that allegedly traced close to US$700m from the fund to Najib’s personal bank accounts. Linked to this would be the fate of the Attorney-General – Mohd Apandi Ali – and, probably, Malaysian Anti-Corruption Commission officers, as hinted by Dr Mahathir more than once after GE14. Both were entangled in the imbroglio. The “cleaning up” act would certainly involve seeking greater accountability, overhauling the system – possibly of rampant cronyism – and improving the judiciary system and processes. For the economy, Pakatan will, as promised, do away with the 6 per cent goods and services tax. The coalition believes it can run the federal government without revenue from the GST, and instead add another RM6 billion to the country’s coffers through collection from other taxes and cutting down on wastage. As for the economy itself, Mahathir said a “council of elders” will be appointed to advise the new government on economic and financial matters for the next 100 days. Former Finance Minister Daim Zainuddin, highly respected former Central Bank governor Zeti Akhthar Aziz and business tycoon Robert Kuok are among those appointed to the council. The new Malaysian government will review all foreign contracts and projects, including the Kuala Lumpur-Singapore High-Speed Rail project and those under China’s Belt and Road initiative. Reconciliation with Mahathir gives Anwar the opportunity to represent more than just his reformasi group but also those Malaysians who have been outside. It should make for a more stable country. Malaysia will be more than Boleh. Malaysia will Terbang (Fly) under Anwar.